HomenewsUncategorizedWhat next for SAP HANA? It was once hailed by SAP CEO Bill McDermott as the vendor’s “biggest launch in 23 years, if not in the entire history of the company” – but as a raft of high-profile employees have been let go in recent weeks, we ask: has HANA lost its lustre at the German company? SAP HANA-It was once hailed by SAP CEO Bill McDermott as the vendor’s “biggest launch in 23 years, if not in the entire history of the company” – but as a raft of high-profile employees have been let go in recent weeks, we ask: has HANA lost its lustre at the German company? Earlier this year the company announced it would be going through a major restructure, with McDermott telling the Wall Street Journal that 4,400 jobs will be affected. The overall aim was to better focus on “strategic growth areas” in the words of CFO Luka Mucic. Since then there have been some high profile exits. Long-time CTO Bernd Leukert parted ways with the company in February, issuing a statement that read: “I am very proud to have been a member of the SAP Executive Board and to have launched the most groundbreaking innovation in our industry, SAP S/4HANA. As Den Howlett at Diginomica put it in his analysis of the layoffs: “If you understand anything about development it is that it is often a very few geniuses who make software sing. In this case, Jung and Heilman are those geniuses. I know that from personal experience. 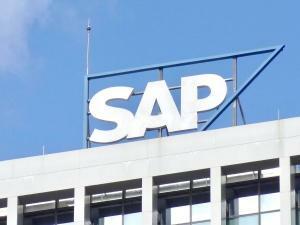 The post What next for SAP HANA? appeared first on erpinnews.